Deric's MindBlog: Changes as an autonomic nervous system ages 11 years - The "Wild Divine" is a bit less wild. Let me get back to you on this. I'll have a look soon. Actually, the current state of their phone support is iPhone-only, not Android, due to the latter's lack of an API for the BTLE stack (coming in Android 4.3). Kickstarter is roughly in the same stage of oversight as eBay was in the Nineties. It was initially designed to presell artists' projects, like CDs, but it's been coopted by hardware startups. I've only backed two projects myself, and my rule is to limit my funding to monies I can easily afford to lose. Kickstarter is definitely a laissez-faire marketplace that should be limited to skeptical consumers. I totally agree with your take on the lack of references. I backed the project primarily on the strength of the apparent ingenuity in biomedical engineering, but I'm still not sure that the research they're basing their measurements on is well established. Thanks for the share Deric, truly great article. I am curious of your take on the emergence of Autonomic Balance testing and its uses. From reports that I have read, this form of testing is giving doctors the tools they need to devise proper and effective care paths for their patients. However, I am curious as to what you have to say about this testing. You make what appears to be an earnest comment, but your link basically takes me to a promotion for a commercial product of which I have no knowledge. I have published your comment, but usually veto appearance of any comment that obtains a commercial link. Sorry Deric! I had just heard of this testing and from the various reviews I read thought that it could be used for testing the nervous system of young individuals and was curious if you had heard anything about this. Sorry I seemed to be coming down so hard on you. I should have just said I don't know about the regime. 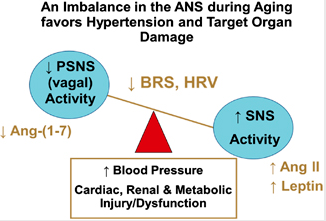 Autonomic balance is totally central to well being... I think about my own quite a bit.